Nearly every machine module today contains electrical drive technology. The more complex the drive design, the larger the software component becomes. Modern object-oriented engineering tools like LASAL from Sigmatek prove especially efficient, since they support drive train concepts. The motion control package, LASAL MOTION, is seamlessly integrated into the programming or project software LASAL CLASS. During development, the most attention was focused on the simple use and efficiency of the axis commands. Several axes can therefore be synchronized with just one command call. The motion control is independent of the hardware used, which additionally increases flexibility. 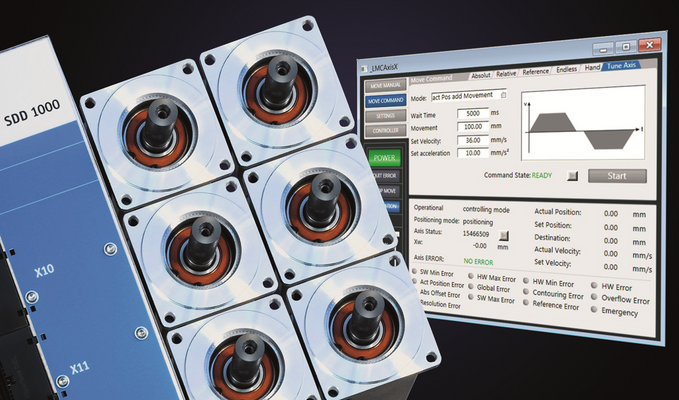 For frequently required functions, the LASAL drive library provides a large selection of pre-constructed motion function components. The spectrum ranges from simple single-axis to complex multi-axis applications. Positioning, electronic cam, path control with transformations for robot kinematics, CNC functions and synchronization of multiple axes in space.